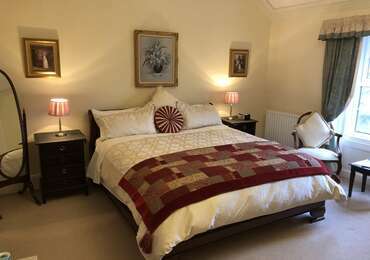 Ashcroft B&B Guest House is an elegant Victorian Vicarage with spacious guest rooms and high ceilings standing in 2 acres of award winning gardens on the southern edge of Haltwhistle in Northumberland. Plenty of private, off street, parking within our grounds and secure undercover cycle storage. ELECTRIC CAR CHARGING POINT NOW AVAILABLE. A beautiful room for that special occasion with views out over the garden. With Superking Doublebed and a luxury en-suite with fabulous power shower.Wi-Fi, Large screen LCD TV with Freeview, Clock Radio with iPod charger, Tea/Coffee & Hairdryer. A beautiful room for that special occasion with views out over the garden. With Superking Double bed and a luxury en-suite with fabulous power shower.Wi-Fi, Large screen LCD TV with Freeview, Clock Radio with iPhone charger, Tea/Coffee & Hairdryer.